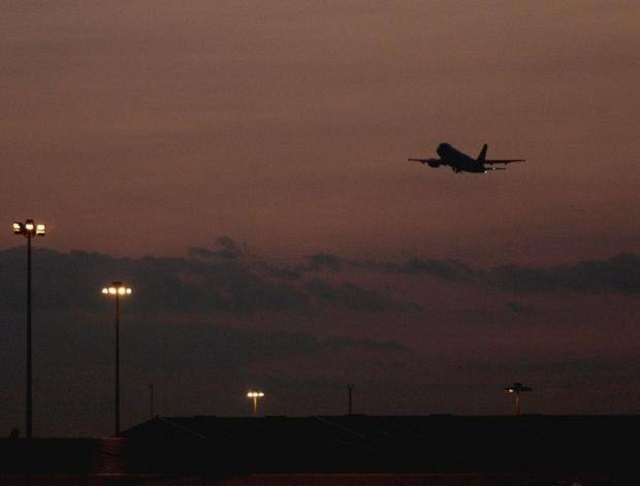 Late on Wednesday evening, a charter flight took off, under cover of darkness, from an unknown location in the south of England, heading for Nigeria and Ghana. This did not make the news, but it transformed the lives of hundreds of people forever. Luke De Noronha — whose friend was on the plane — shares his personal reflections. Wed, 31st January — It’s 10.40pm on Wednesday evening and I start writing because it’s all I can think to do. It is helping, in a way, to distract me from thinking about where Michael* is. His phone has been off for the last two hours. He might already be on the plane. He might be on the coach waiting to get on the plane. He might even be restrained in a body belt, although I don’t imagine he resisted them. Either way, he will be sitting and waiting, with tens of other people being forcibly expelled to West Africa. I met Michael through work I was doing with detainees, and I connected with him because he grew up in Manchester. He is 22, a few years my junior, and he grew up a few streets down from where my mum did, four decades earlier. Michael arrived in the UK when he was nine years old, in 2004, and has lived in Manchester ever since. The Immigration Rules state that if a person under 25 has spent over half of their life in the UK, they should qualify for regularisation – so long as they have a clean record and can prove ‘continuous residence’. It was the ‘continuous residence’ part that caught Michael out. He visited Nigeria when he was 11, for a few weeks over the summer holidays. That trip, and the fact he had re-entered the UK with a new visa, meant the clock was re-started again. And so, eleven years later, Michael was detained. He was kept in prison-like conditions for nearly a year. Last night, he was deported. I visited him twice in detention. It was only twice and now I wish it’d been more. Or maybe not. We spoke about the area of Manchester where my mum grew up, about the street where he lived. We worked out that the two were just a few blocks away. We spoke about the barbers we both knew in Old Trafford, about school, immigration control, detention, my PhD and about music. He had been listening to Sade the night before on his stereo, which I thought was cool, and had spent the morning in the gym. He did not elaborate on his mental health, but intimated that detention had worn him down, had changed him. At this stage, I still thought he might get out. Michael did not have a criminal record, not that he would have been less deserving if he had. ‘Overstayers’ and ‘criminals’ are juridical categories, products of the state’s power to classify us; and to enforce these classifications with (extra)ordinary violence. But his not being ‘a criminal’ did mean I thought he’d get out. A lot could be said about Michael’s deportation and what it reveals about the UK’s immigration regime. Firstly, the fact that he was ineligible for ‘Leave to Remain’, despite having lived in the UK since he was in primary school, reflects how draconian the system has become. Michael fell foul of the ‘continuous residence’ rules, and this is a widespread problem. Simply proving your continuous residence – i.e. that you have lived in Britain continuously, every month of every year – is incredibly difficult. This is the story for those Caribbean migrants (if they can still be called migrants) who have lived in the UK for decades yet now face the threat of removal. Michael’s case also reveals that non-citizens cannot access justice. He would probably have been able to avoid deportation if a decent lawyer had taken his case on a couple of years ago. But legal aid has been decimated, and he ended up with a lawyer who made bad, lazy decisions, which made things much harder later on. It is not only legal aid but the slashing of appeal rights that makes these cases hard to win. The Home Office has become very good at preventing people from lodging appeals. After all, appeals frustrate removal. For example, Michael was not given flight directions in advance. Instead, he was given a three-month removal window, so that, at any stage in those three months, the Home Office could put him on a flight without warning. This makes organising your legal defence, and your thoughts and emotions, impossible. In early January, Michael was getting hopeful because his removal window was nearly up, and he planned to apply to be released on bail. But the Home Office simply extended the window — no doubt because a charter flight had been scheduled. Immigration control is defined by controls over temporality – over how long you can stay and how long you need to be resident before you can regularise. Illegality is experienced as an ‘enforced orientation to the present…the revocability of the promise of the future’. Time goes slowly for those waiting for Home Office decisions, and then speeds up when they are detained. Time might slow down again once a person is locked up, and then suddenly speed up in the days leading up to removal, when there is no longer enough time. This is deliberate. And it is torture. There is so much more that could be said about Michael’s deportation. We could talk about how charter flights are the immigration system’s most brutal and terrifying instrument. About how they rely on enforcement sweeps in the weeks leading up to flights, with tens of people detained while dutifully signing at reporting centres. After all, charter flights are expensive. Seats need to be filled. We should definitely talk about the neo-colonial bilateral relations on which these charter flights depend. ** We could talk about the British government funding a prison wing in Lagos so that ‘foreign criminals’ can be deported ‘back home’ earlier. We could talk about prisoner transfer agreements reached with Ghana. When the UK says that such agreements work because of the countries’ ‘similar legal systems and practices’, we see that deportation relies on and reproduces a suffocating colonial amnesia. Asking the simple question, ‘who built these prisons’ might be the starting point for a different analysis. But right now, all I can think about is how much I like Michael. How I sort of imagined seeing him in Manchester when all this was done and he had his leave to remain. How he would be a person I had helped, sort of, to not get deported – to not be another young man I came to know in the context of the catastrophe that is deportation: the banishment, forced separation and isolation. There are others, tens of others, flying with Michael right now. None of them want to leave the UK, and their families and their communities, behind. None of them want to “return” to Nigeria or to Ghana, countries where some of them know nobody at all. There was a charter flight to Nigeria and Ghana two months ago. There will be another one in two months. There will be further charter flights to Albania, Pakistan, and Jamaica in the coming weeks. *** I won’t know anyone on those flights. But as with Michael, each deportation will do unknowable, unthinkable damage in the lives of individuals and families. There are many ways to destroy people – individuals, families, communities – and racism is one concept we use to capture that violence. How can these deportations not be connected to race? We know why the policies are popular. We know why Nigerians move to the UK and not the other way around. We know why they are unwanted here. We know why tens of West Africans restrained and forced onto planes feels uncomfortable. And we know that deportation means expulsion from home rather than a return to one. A couple of months ago, I really thought Michael would get out. I thought he would be able to stay with his mum, his brothers, his friends; with his memories, his home, his place. I thought him staying would help me deal with the fact that most people in his situation do not. I was wrong. And so now I am writing. It is ten past midnight and Michael is in the air, on his way to Nigeria. And I am just so sorry. ** And I will do so in another piece soon. *** It is important to note that most people are removed from the UK on commercial flights. Luke de Noronha is a doctoral candidate in Anthropology at the University of Oxford (COMPAS). His research explores the deportation of ex-offenders from the UK to Jamaica. He is on Twitter @LukeEdeNoronha.